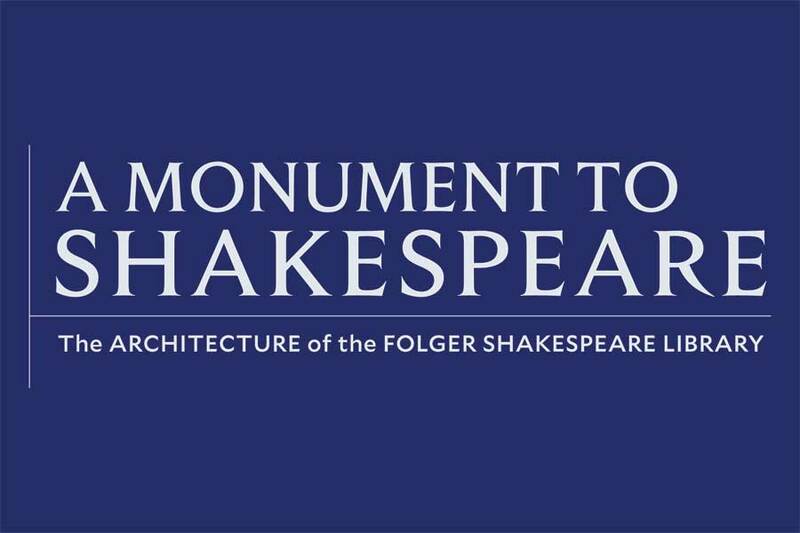 Henry Clay Folger and his wife Emily wanted to create a monument to Shakespeare in the U.S. capital. This would be their gift to the American people, an architectural presence on Capitol Hill, and an anchor to the nation’s cultural mile. This exhibition shows how Henry, and after his death, his wife Emily, worked with architect Paul Philippe Cret to create a marble building that looks like a book, and speaks to the hope that Washington DC would become a cultural center. 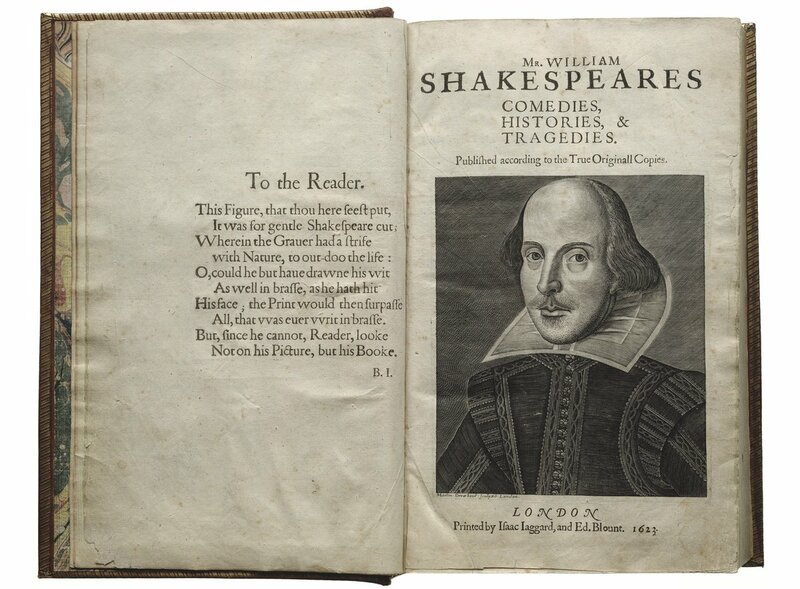 The First Folio is the first collected edition of Shakespeare's plays and is the only source for 18 of his plays, which might otherwise have been lost. One of the Folger's many First Folios, along with a touchscreen display, is on permanent display in the Great Hall. Shakespeare Documented is a free and publicly accessible online exhibition featuring all primary sources that document the life and career of William Shakespeare. Exhibitions at the Folger open fascinating windows onto Shakespeare’s life and times, including a range of topics involving the early modern period. But they also highlight the outsize influence of Shakespeare’s work through the centuries, up to our present day. While current exhibitions are highlighted here, the Folger's past exhibitions offer ongoing information and resources for visitors and researchers. 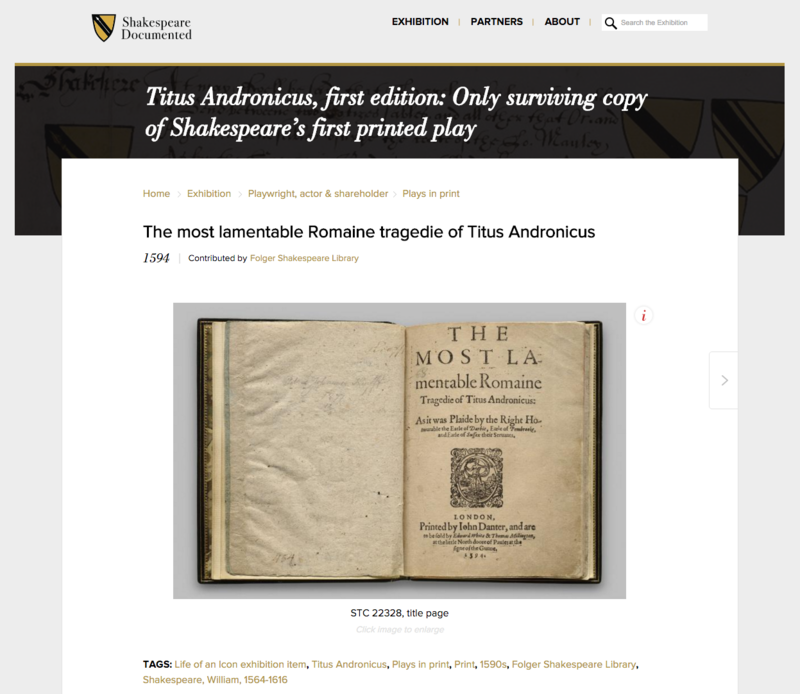 To see a list of past exhibitions and their associated content, visit Folgerpedia.